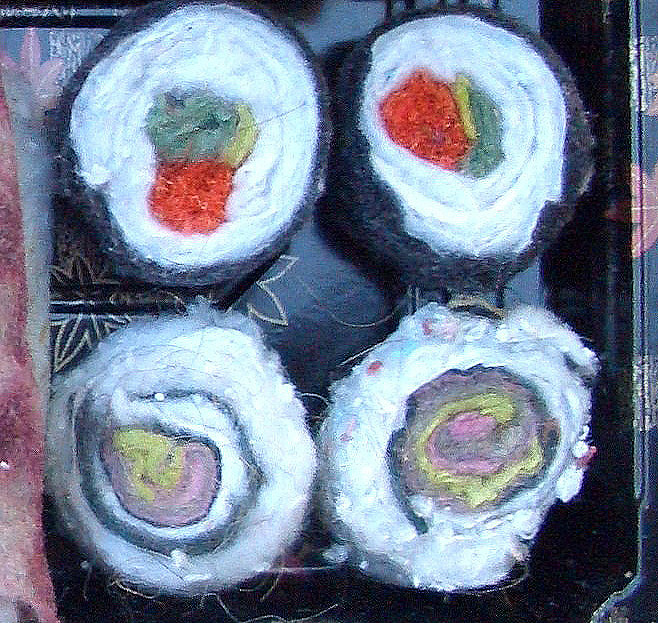 If It's Hip, It's Here (Archives): Dryer Lint Handroll Anyone? 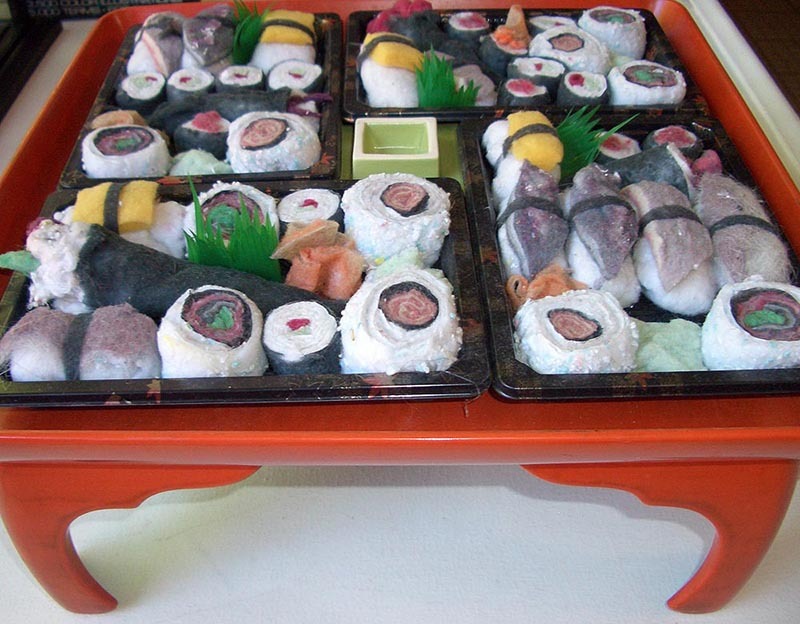 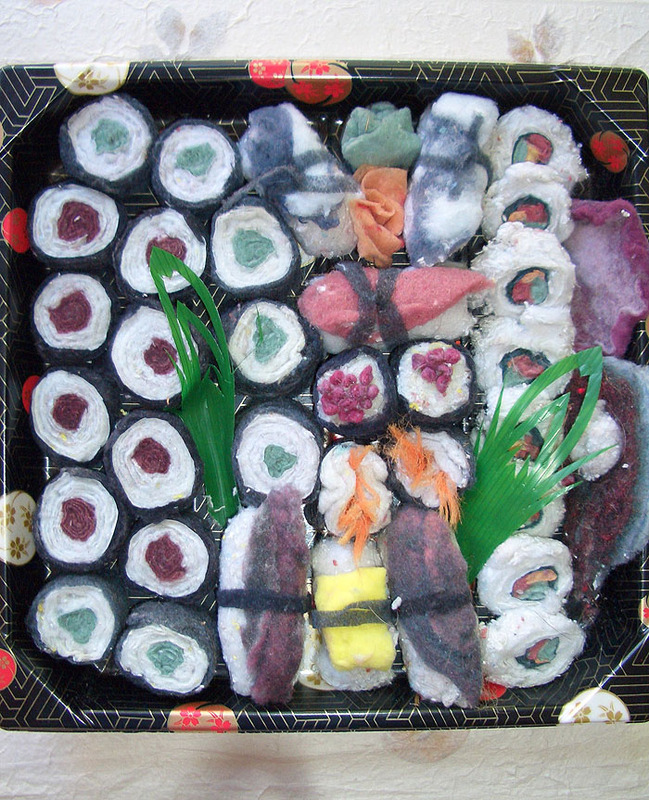 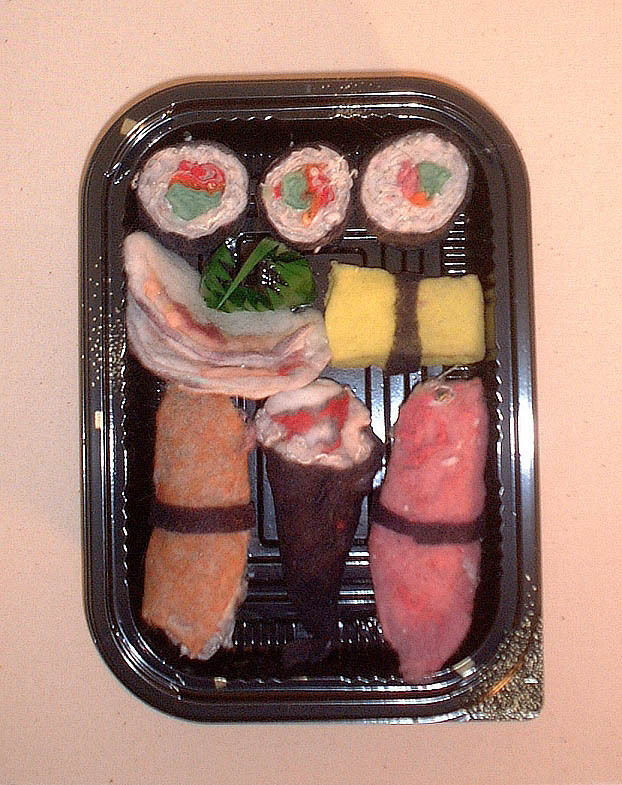 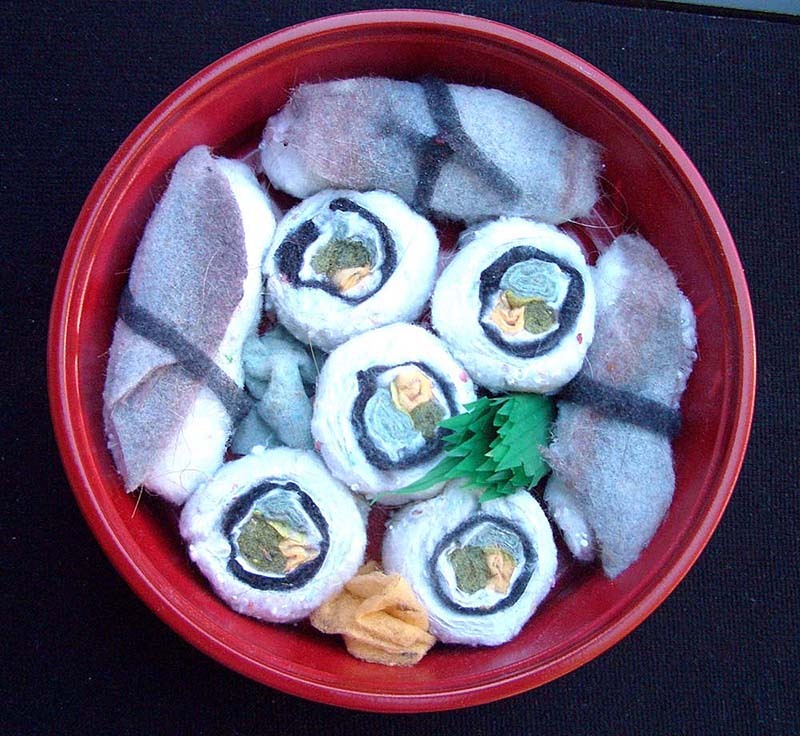 Sushi Sculptures Made With Actual Lint. 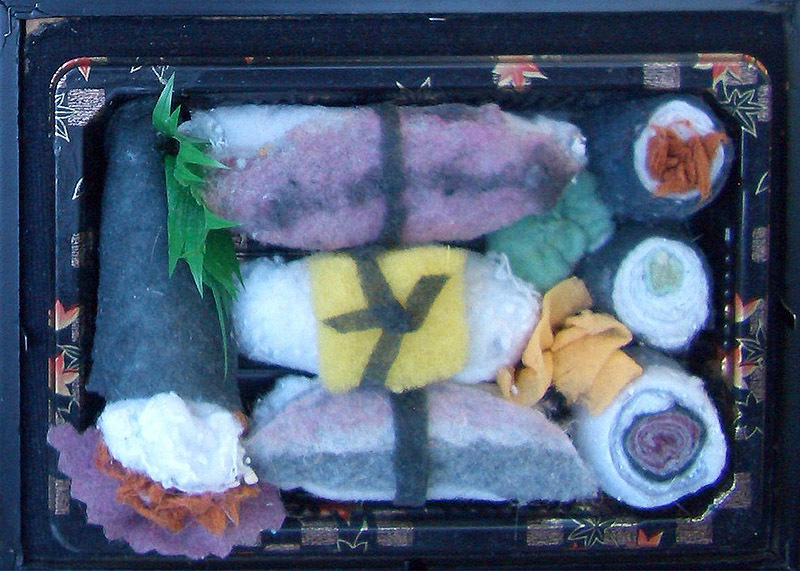 Dryer Lint Handroll Anyone? 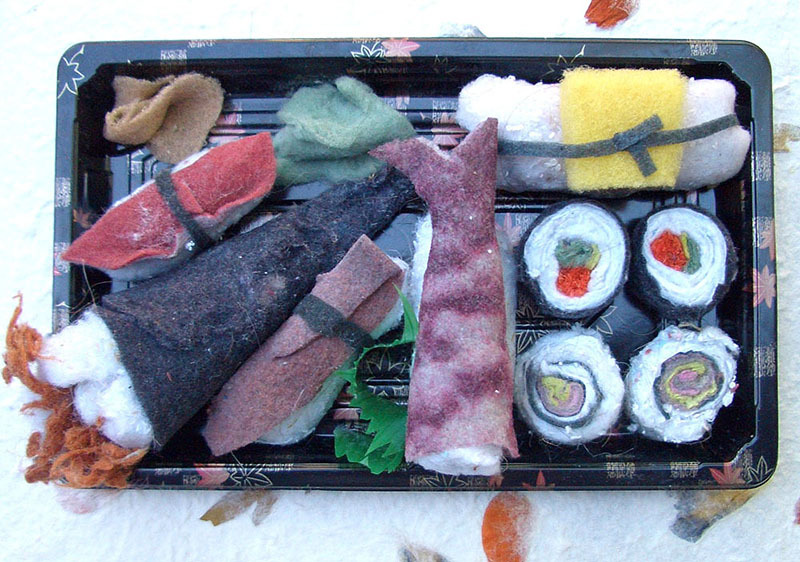 Sushi Sculptures Made With Actual Lint. 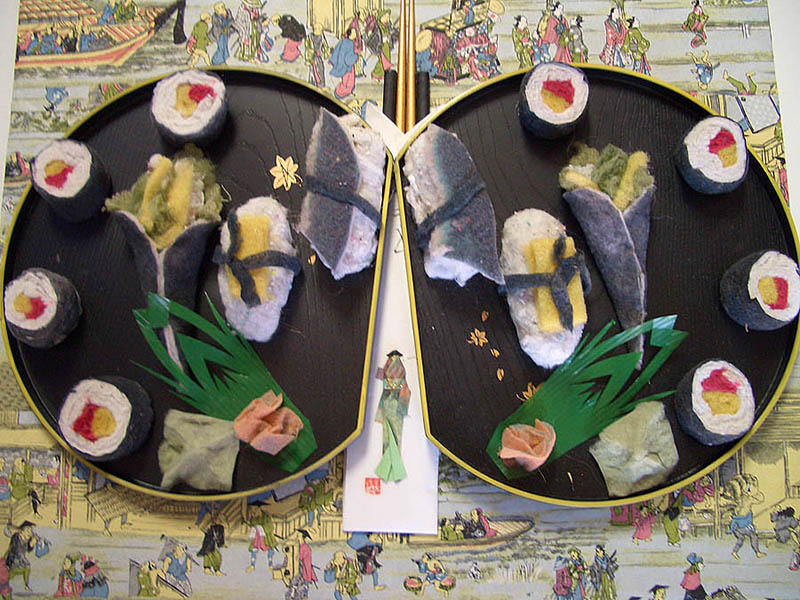 Artist Slater Barron works in several different mediums and has created everything from large scale installations to small sculptures. 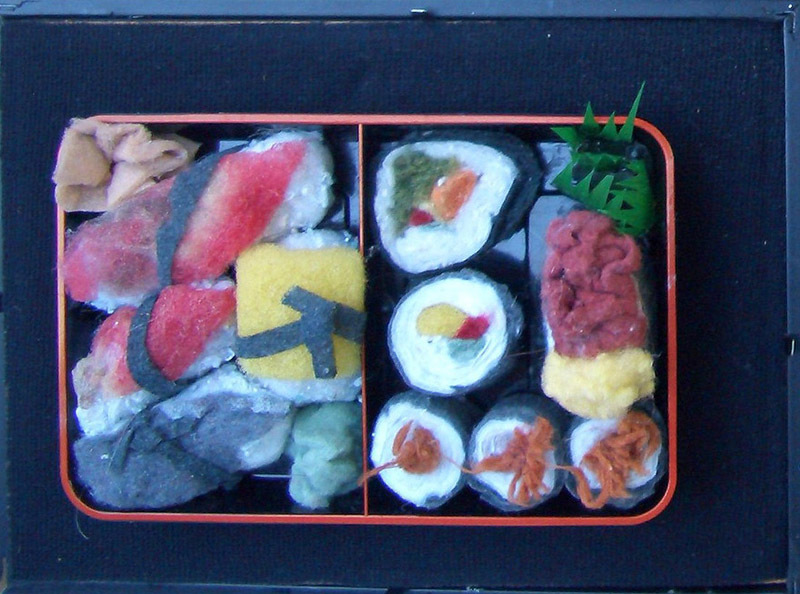 But what caught my eye were her actual size sculptures of sushi handcrafted from real dryer lint. 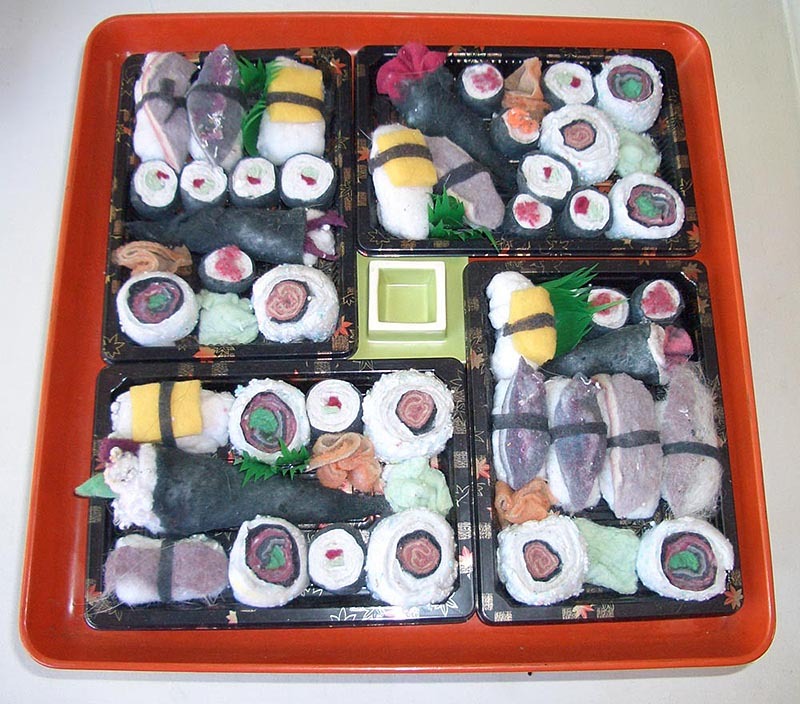 Perhaps it's because the thought of sushi ordinarily makes my mouth water and it's so unexpected to encounter a Bento box full of maki and handrolls knowing they would give you cotton-mouth. 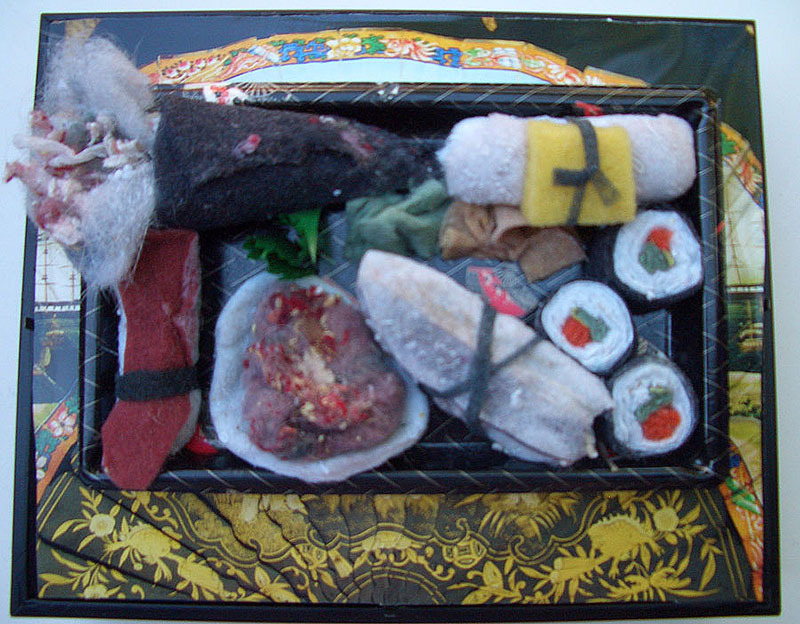 Slater Barron received her M.F.A. 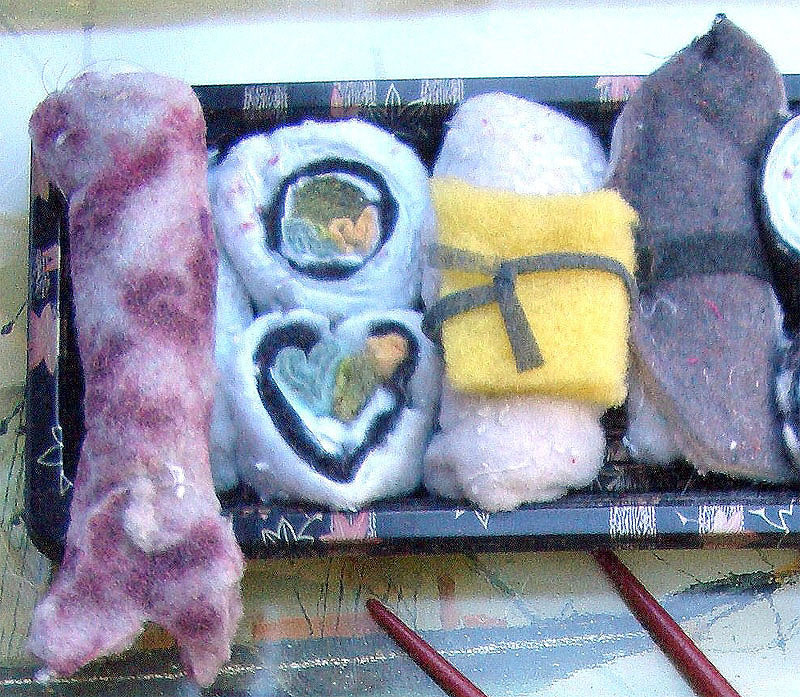 at the California State University, Long Beach and her bachelor's degree at the University of California, Irvine, She had the privilege of studying with art notables John Paul Jones and William Wegman. 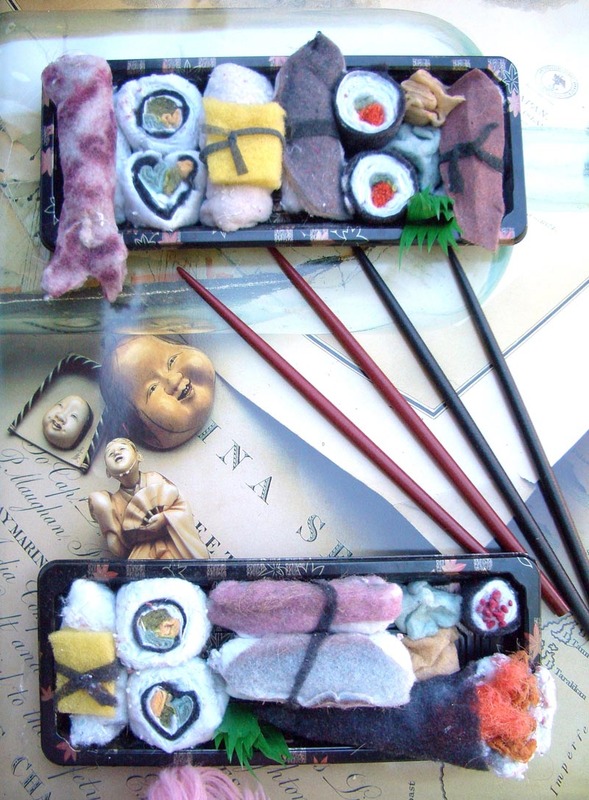 Now, she is inspired by my surroundings and those I hold dear as well as many social causes she feels strongly about.